Nathan has lived in the Yukon community for over five years. He began his banking career in 2006 after graduating from the University of Oklahoma with a Bachelor’s degree in Anthropology. Additionally, Nathan attended the Oklahoma Banker’s Association Consumer Lending School and is a graduate of the Canadian County Leadership program. Nathan’s experience in both banking and lending brought him to YNB in 2016 as the Central Processing Supervisor responsible for overseeing the procedures for booking and funding all loans bank-wide. In 2017, Nathan also began lending for YNB specializing in Consumer and Mortgage loans. Nathan takes great pride in providing the best experience for his customers and will work diligently to secure the best financing for all your lending needs. 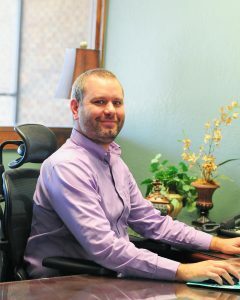 Speak with Nathan today and experience the difference at YNB!